Another amazing computer sweepstakes! 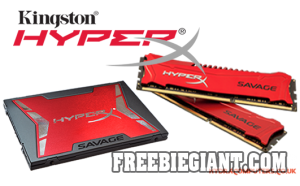 This contest is for a 240GB HyperX Savage SSD and 16GB HyperX Savage 2400 MHz DDR RAM Kit. Read on to find out how to enter for a chance to win a brand spankin’ new SSD and awesome RAM Kit. HydraComputers is giving away one SSD and one RAM Kit. This sweepstakes only lasts until June 30th, 2015, so you’ll need to act now if you are interested. To enter this contest, you can register by Facebook or e-mail. If you choose Facebook, make sure you’re logged in. If you pick e-mail, you’ll need to include your first and last name, as well. To get a bonus entry, you can register on HydraComputers’ forums. This information is given after you submit a Facebook or e-mail entry. 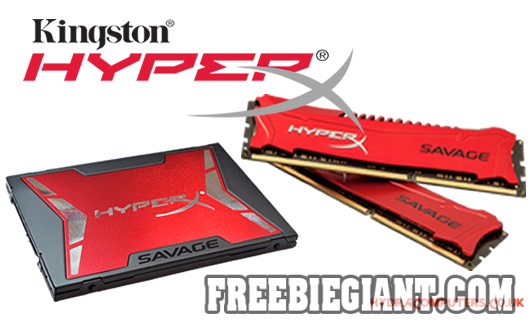 Click here to enter to win a 240GB SSD and 16GB RAM Kit.